Every presidential candidate has his or her more memorable highlights from all the speeches and appearances made on the campaign trail. With a televised presidential debate that received weeks of hype and was designated by the campaigns and media alike as possibly the single most pivotal event for the election, Clinton and Trump were sure to have what they would view as their own personal shining moments. 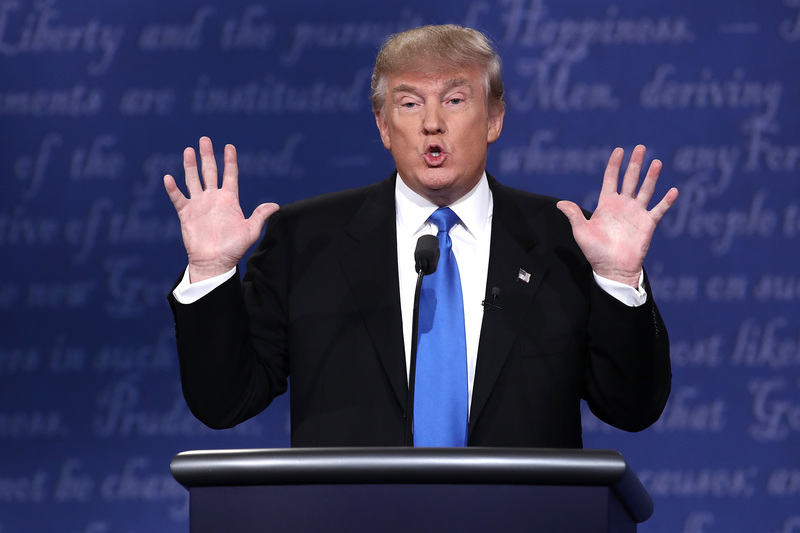 So what was Trump's proudest moment from his first presidential debate against Hillary Clinton? Trump's holding back from bringing up the affairs of Bill Clinton was what had him pleased post-debate. Asked by CNN's Dana Bash if Trump wished he had done anything differently over the course of the evening, the Republican nominee provided a somewhat surprising (or maybe not at all surprising) response. You know I'm very happy that I was able to hold back on the indiscretions with respect to Bill Clinton. But why didn't Trump bring Bill into the conversation? Bash wasn't the only one to hear from Trump on his decision not to go after Clinton's husband during the event. After leaving the podium, Trump told Bloomberg Politics co-managing editor Mark Halperin that he refrained from letting out any Bill-related attacks, again claiming the choice was due to the presence of Clinton's daughter. I didn't want to do my final attack, which was to attack her husband on what took place with respect to him and his life .... because Chelsea who I happen to think is a wonderful young lady was in the room, and I just didn't think it would be appropriate. Trump did tell Bash that he'll divulge to the American public his thoughts on Bill Clinton "maybe at the next debate."